Dr. Steven E. Levine is board certified in Pain Management and Anesthesiology by the American Board of Anesthesiology since 1994, and also is a diplomate of the American Board of Pain Medicine since 1996. Additionally, he is a fellow, charter member, and on the Board of Directors for the American Board of Minimally Invasive Spinal Medicine and Surgery. He is a leader in developing and teaching new techniques in interventional pain management both nationally and internationally. 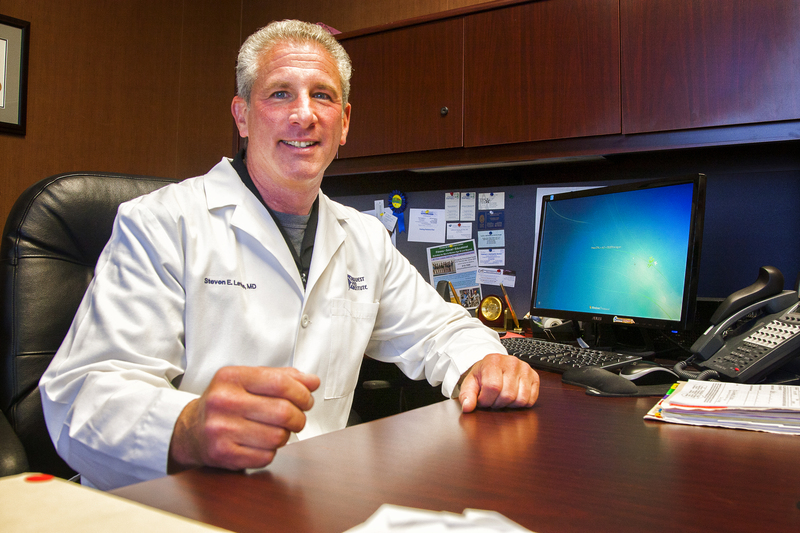 Dr. Levine specializes in the diagnosis and treatment of back and spinal pain. Dr. Levine received his undergraduate degree from Washington University in St. Louis in 1984 and earned his medical degree from Stony Brook School of Medicine in New York in 1989. He completed his residency in Anesthesiology and Pain Management at the University of Florida School of Medicine in Gainesville, Florida. Currently, Dr. Levine is the founder and medical director for the Midwest Pain institute/ Center for Minimally Invasive Spine in Carmel, IN. He is on the medical staff at St. Vincent and Methodist Hospitals in Indianapolis and Carmel, and St. Joseph Hospital in Kokomo. From 1993 to 1996, Dr. Levine was Medical Director for the Pain Management Center and Co-Medical Director for Intensive Care at St. Luke’s Hospital in Bluefield, West Virginia. He then practiced Pain Management at the Centers for Pain Management in several hospital-based programs in Northern Indiana from 1996 to 1999. From January 1999 to April, 2001 he was a partner with Renaissance Pain Management in Indianapolis. Dr. Levine is an active member of a number of professional organizations including the American Academy of Pain Management, the American Medical Association, the International Spinal Injection Society, International Intradiscal Society, American Society of anesthesiologists, North American Spine Society, and the American Academy of Minimally Invasive Spinal Medicine and Surgery. He has taught at dozens of workshops on advanced spinal injections and procedures, including Intradiscal Electrothermal Therapy and endoscopic disc repair, among others. He is in frequent demand as a speaker and lecturer on interventional pain management, specifically the diagnosis and treatment of back and spinal pain. Dr. Levine lives with his wife and two young sons in Carmel, IN and they enjoy a variety of sports, recreation and travel.